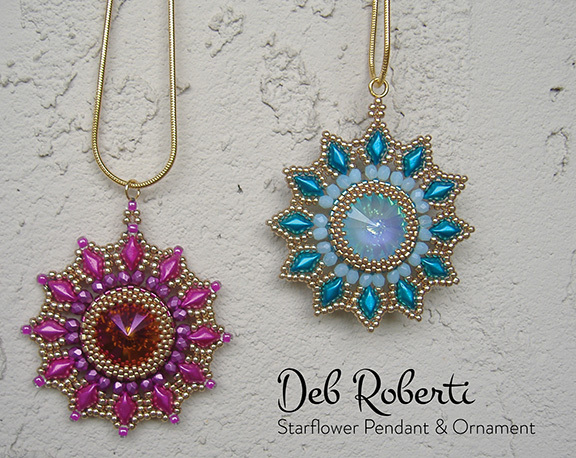 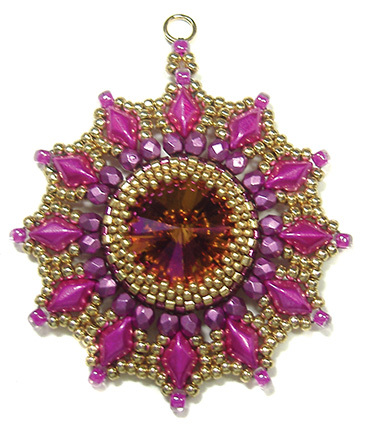 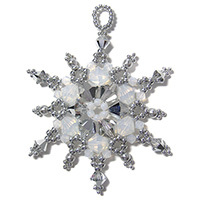 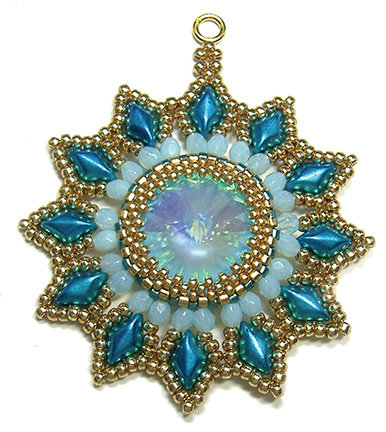 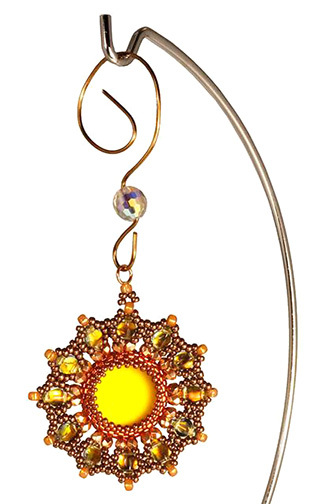 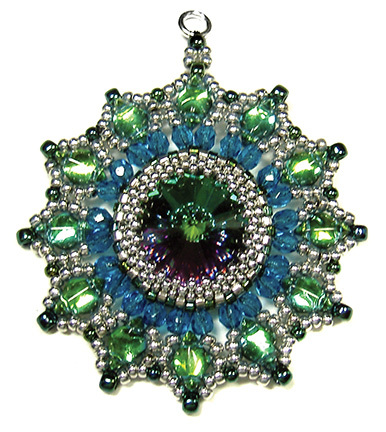 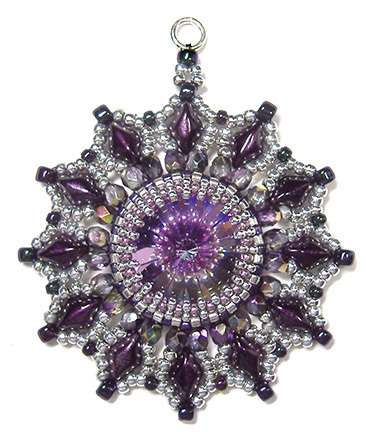 Break out your big 18mm rivolis to make this variation of my Starflower Bracelet and Starflower Necklace design for an eye-catching pendant or decorative ornament. 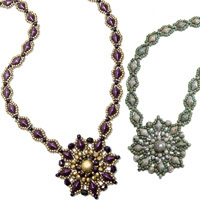 Step-by-step instructions included for creating a bezel using the peyote stitch to hold the rivoli. 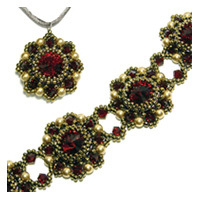 Fire-polished beads, two-hole diamond beads (GemDuo or DiamonDuo beads) and seed beads are then added around this rivoli base.